Join us for a FREE day of workshops for parents! Saturday, November 17th, 2018 – Save the date! 12:40 13:50 Lunch and Networking. Children and teens face so many issues and parents often struggle with how best to help their children. 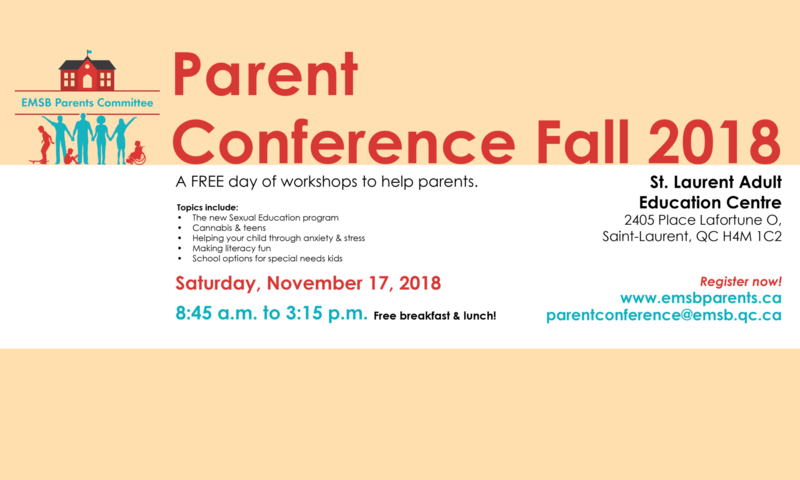 That’s why the English Montreal School Board Parents Committee (EMSBPC) is holding its third annual Parent Conference – a series of workshops for parents on a variety of issues pertaining to both your children and teens. This year, in response to parent demand, we’re holding it in the fall. Last spring, the Parent Conference was a big success, with nearly 300 people in attendance and great reviews. The EMSB Parents Committee is aiming to improve it even further this year! Welcome to the EMSB Parents web site! 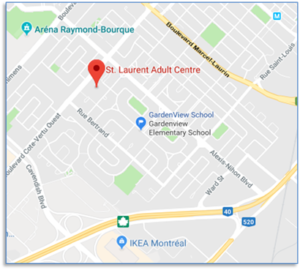 Here you will find resources, information about our events and details about the English Montreal School Board Parents Committee.